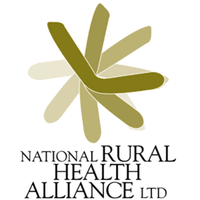 The National Rural Health Alliance, Australia’s peak non-government organisation for rural and remote health, is seeking an experienced Senior Adviser (Policy and Research) until 30 June 2019, with the possibility of extension. Based in Canberra, this new role offers an exciting opportunity to be part of the Policy and Strategic Development Team being formed by the Director of Policy and Strategic Development to lead the National Rural Health Alliance in its work towards good health and wellbeing in rural and remote Australia. The Senior Adviser (Policy and Research) will take a lead role in conducting research, including project design, data collection, analysis and reporting on of social and health epidemiological data and other quantitative and qualitative data. The Senior Adviser (Policy and Research) role also includes planning and reporting on policy activity; researching and writing policy and advocacy positions; developing presentations, preparing written reports and submissions; leading projects relevant to the work of the Alliance; and providing high level strategic advice to the Director and Chief Executive Officer on policy and advocacy matters. To succeed in this role, you will need to have demonstrated health policy experience including relevant tertiary qualifications and/or experience in health-related policy and research and excellent writing skills. Please quote in application: Senior Adviser (Policy and Research) via Pro Bono Australia.